Mr. Majid is the co-founder and CEO of d1g.com, a leading regional portal focused on providing a range of media-rich and socially enabled services. 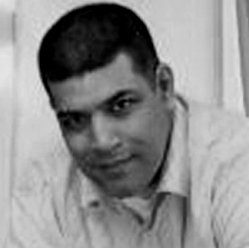 Prior to d1g.com, Majid was the Director of the Jordan Education Initiative (JEI), which is focused on creating a replicable model for Education Reform through Public Private Partnerships. Under the JEI, Majid worked with the Jordanian Government, the World Economic Forum, and Program Partners to ensure that innovative technology models for education aimed at accelerating and supporting national education reform are initiated, implemented, and successfully replicated in other countries. Mr. Majid founded RAZORView Advisors in 2003. Under RAZORView, Majid worked with leading regional firms, providing them with strategic advice and support in the areas of Strategic Investments and Concept Development. Majid was also a founding partner and director of Estarta Solutions, a leading technology company providing advanced technology services in the Middle East, Europe, and North America. While head of technology, Majid managed more than 200 engineers to deliver technology solutions to leading technology firms in the US, Europe, and the Middle East. Prior to Estarta, Majid helped found ONEWORLD Solutions. During his 5 years at ONEWORLD, Majid worked with leading North American and European clients such as 3Com, Microsoft, Kyocera, and Thomson Financial. In 1996, Majid co-founded the first regional portal, Arabia.com. Arabia quickly grew to be the largest Arabic community that same year. While at Arabia, Majid grew the first web development community to develop the most vibrant Arabic community online.